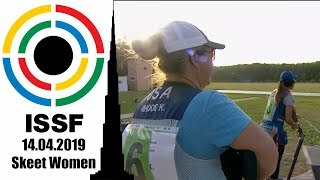 The Emirian athlete bested Independent Shooting Participant Fehaid Aldeehani in the Gold medal match, after they both earned an Olympic quota place nailing the two best scores in the semifinal round. Khaled Alkaabi put the United Arab Emirates on the map of the Asia Olympic Qualifying Competition by winning the Double Trap Men Gold medal, the first one for the UAE in New Delhi (IND). Alkaabi cleared things up since the semifinal, where he nailed the best scores with 28 hits, followed by Independent Shooting Participant Fehaid Aldeehani with 27. 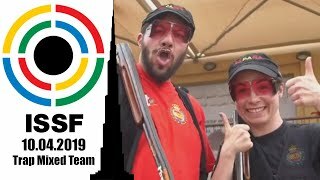 As all the semifinal participants were eligible for the two Olympic slot available in this event, the two quotas were allocated to United Arab Emirates and to ISP Aldeehani as soon as the two shooters qualified for the Gold medal match. 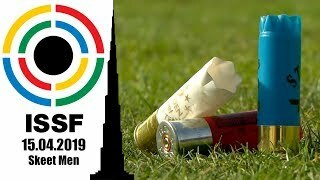 There, Aldeehani took an 11-to-9 lead after six doubles, but failed to match Alkaabi performance in the following nine, where the UAE’s shooter hit 17-out-of-18 targets, overtaking Aldeehani and claiming the Gold with a final score of 26 hits to 25. 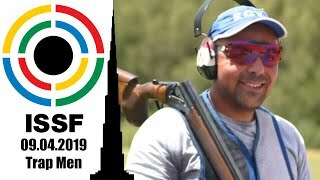 In the Bronze medal match, Indian shooter Asab Mohd prevailed over South Korean Shin Hyun Woo with the final score of 26 to 24 hits, after they previously concluded the semifinal with 26 targets each. Eliminated after the semifinal round, India’s Ankur Mittal concluded with 25 targets, while Islamic Republic of Iran’s Masoud Azizian finished with 24. 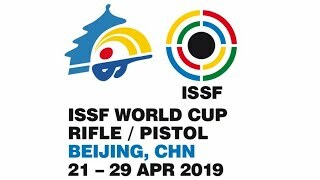 The competition will continue tomorrow with two more finals: the 50m Rifle 3 Positions Women scheduled at 1:00 PM (UTC+5:30), and the 25m Pistol Women scheduled at 3:00 PM.